Mala Necklace is created with Ascension Gemstone Beads, created with mantra meditation chanting so each gemstone and knot is infused with the energy vibration of the mantra. The copy of the mantra will be included so you can use it within your own meditation practice. 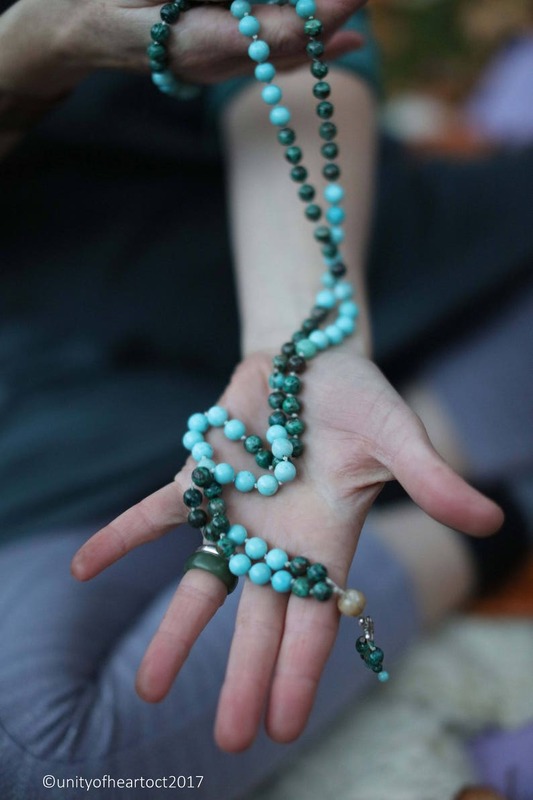 Each Mala contains 108 natural crystal beads that are threaded onto mala cord and knotted in between and finished with a Crazy Lace Agate or labradorite Guru Bead. As the mala is made a chant will be used to bless the beads. The chant will be sent to you as well the meaning of each crystal and the numbers of the Tantric numerology. The above photos are for example only as each mala is uniquely created for the individual. I have set the price at £120 but depending on the gemstones used this price varies and could be less. If you have a budget let me know and I will choose the gemstone that match your budget. The necklace measures 48 inches (120 cm) and is suitable for men, women and children. Please note I use Natural, Authentic, Gemstone beads so please be aware of natural colour variations and markings. ***Please note Mala's and Gemstone necklaces are sent by tracked and signed for delivery for security. If you wish your item to be sent by standard mail I can do this and refund the difference in postage. I feel truly grateful for each and every order you intrust to me. I handcraft every piece with great care, love and intention. If you have any questions regarding the gemstones, mantras, numerology or how my jewelry can support your life journey please feel free to message me via contact the seller. Item looks just like advertised, I like it very much. No issues with shipping. Happy with my purchase. Delighted with my Mala Beads. Prompt delivery and the quality is excellent. These Mala beads will last a life time. The supplier was very helpful with any assistance required to choose beads and mantra. Would definitely purchase again from UNITY OF HEART.